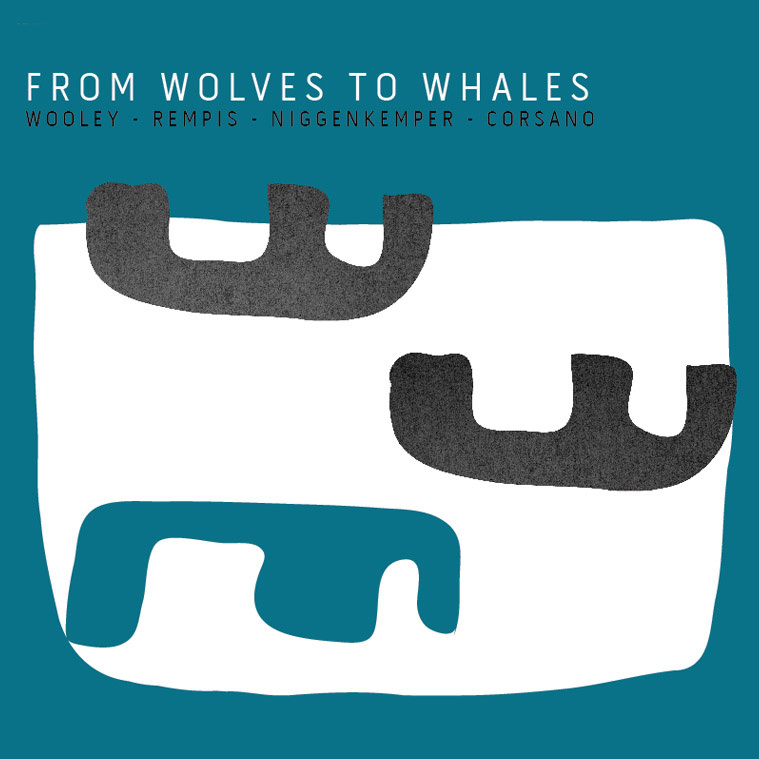 From Wolves to Whales is the result of a collective desire of Nate Wooley and Dave Rempis to form a band which resulted in this grouping with Pascal Niggenkemper and Chris Corsano, all of whom have equally exalted statuses within the world of free music/free jazz. It was released on Dave Rempis’s label Aerophonic Recordings which is an ongoing vehicle for documenting all of his various musical projects, improvised or composed. The title of this band gives pause to reflect on the nature of improvised and free music as it stands today (Wolves and Whales share much more in common than one would think.. some homework for y’all). So often in groupings such as this there is a tendency to commit to ‘tradition’ in relationship to particular continuums. So rather than being separated into particular camps of aesthetic concerns there seems to be more of a plurality that’s embraced by players today that I think is healthy for the music and its ability to expand its frontiers. A good example of how this is embodied in this band and its music would be from the very first notes and gestures that begin in the track ‘Slake’ with Solo trumpet. Immediately on Slake we find Nate occupying multiple registers and dynamics as well as percussive pops. High wispy squeaks, soft mid-register buzzes and rounding out the solo orchestration the percussive sound of the instrument itself popping below the staccato bursts. The group interplay that follows focuses on sustained sounds that then breaks into space reminiscent of some of Bill Dixon’s small group music. The activity then builds into quasi-time and more melodic playing … density is swelling … improvised thematic material develops … the quality of active listening is high … space continually opening up and then filling again. The co-leader Dave Rempis’s alto playing is agile, darting around Nate’s playing effortlessly while occupying space mindfully, leaving lots of room for the music to breathe. The bass emerges to provide an underpinning for more improvised dialogue between the horns that builds to more frenzied climaxes where Nate really shows off his chops as a virtuoso. Then everything collapses into Con Arco playing from Pascal that runs the entire range of the instrument with multiple layers in self orchestration evolving into a quiet sustained section. From a range of mid- to high on all instruments, an effective group drone evokes a state of suspension from the previous section of pulse so beautifully provided by drummer Chris Corsano and then the drone provides its own pulse. Within its state of subtlety, the music is constantly shifting. The whole ensemble shows off their range of gestural and textural playing in the latter half of this track. The music evokes a sonic plane at dusk: cicadas or bugs in field effect, pure sound, spit and scrape, Aeolian breath, overtone, everything collapsing to a state of rest that is its own resolution. Each track embodies different qualities but has a similar availability for them to travel in practically any direction. From Wolves to Whales embodies its cryptic namesake by manifesting the potential of each player and the range of expression that extends across the illusory boundaries of sub-categories of free music and expresses the greater connections within seeming aesthetic antithesis. If anything, it is a lesson in this day and age to regard our collective experience and history and emphasize our strength rather than our differences, to give more clarity to our expression and purpose.